Originally served to Queen Victoria for her own Jubilee by famed chef Auguste Escoffier, this celebratory dish makes a wonderful spectacle, as the cherries are served aflame with cherry brandy. 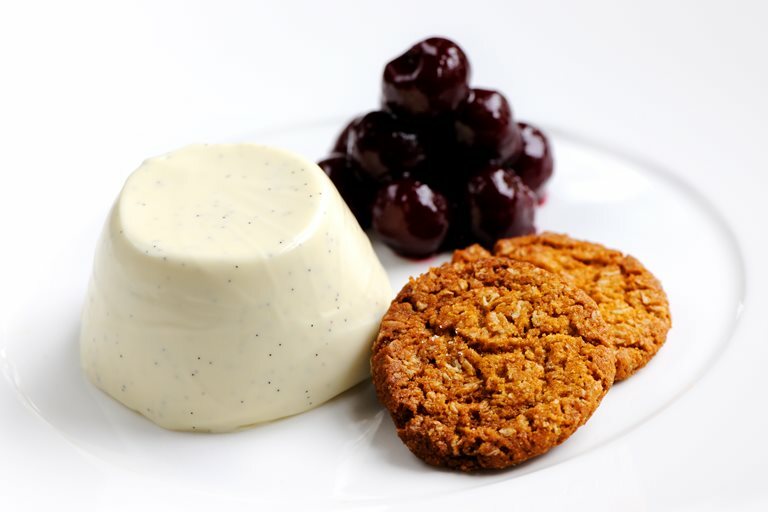 Matthew Tomkinson serves these boozy cherries with a creamy vanilla panna cotta and crunchy ginger biscuits, such as in this ginger biscuit recipe. Matthew Tomkinson was always destined for great things. Starting his career in 1998 at a vegetarian restaurant in Cheshire, Tomkinson went on to win the prestigious Roux Scholarship in 2005 (at 29).